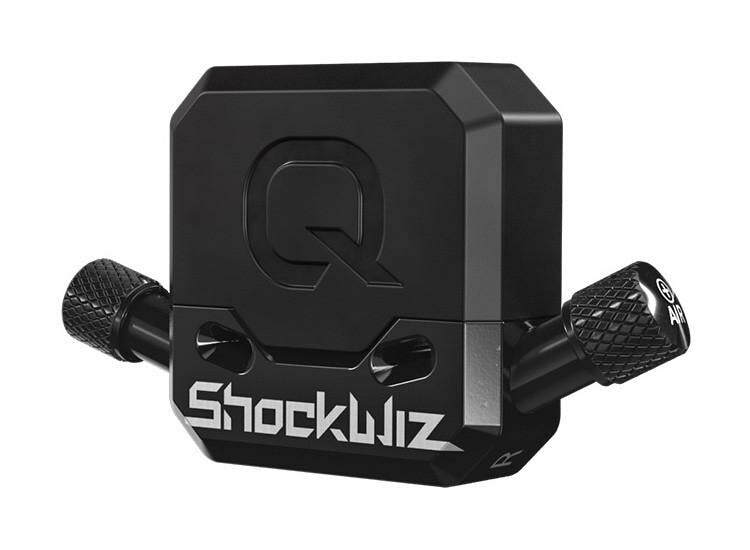 ​MTB SUSPENSION TUNING THAT COMBINES HIGH TECH MECHANICAL SENSING WITH AN APP THAT DELIVERS EASY TO UNDERSTAND RECOMMENDATIONS.Regardless of your riding style, experience or preference for hardtails or dual suspension rigs, the Quarq ShockWiz Tuning device will let you know exactly how your suspension is performing. Not only how it's doing, but also how to make it better and find your optimal fork and rear shock settings. ShockWiz's small, waterproof case houses an extremely accurate pressure sensor and microprocessor. You connect it to your fork or shock's Schrader valve and it samples air pressure 100 times-a-second while you ride. It will decide if adjustments need to be made, what those adjustments should be and then displays them in the ShockWiz smartphone app. Puzzling and time consuming trial and error experiments with your baseline air pressure, air spring ramp, rebound, and compression are all yesterday's news. The aim of ShockWiz is to give you the knowledge to eliminate undesirable pogo, pack-down and bob characteristics in your suspension setup. This can mean the difference in being King of the Mountain or the guy still in the parking lot fiddling with his shock pump.